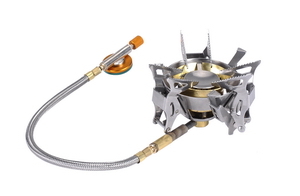 With three strong foldable supporting legs and six thick stainless steel pot supports, this is one heavy duty camping gas stove made for long term use. 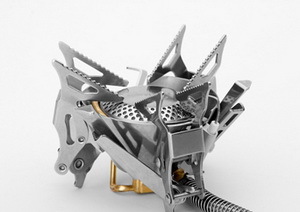 The full-metal edges of the stove remind us of the Transformers. With two-channel pre-heating and a built-in low windscreen design, this stove promises to give the most efficient combustion and provides a consistent level of fire power. 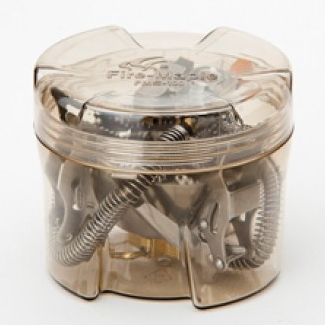 The gas cartridge can be inverted (put upside down) to maximize the use of the gas, thus giving you some savings with every canister. 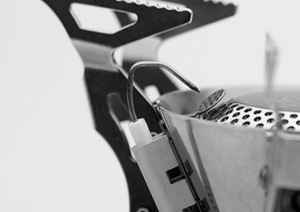 With a far piezo-electricity lighter, use is more flexible and agile without fear of getting too close to the heat. The flame control valve is easily adjusted with greater precise power for various cooking needs. 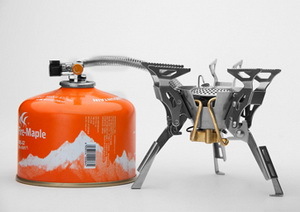 Since the support legs come with tooth-edge design, the cookware is more stable when cooking as the weight bear down on the ground. 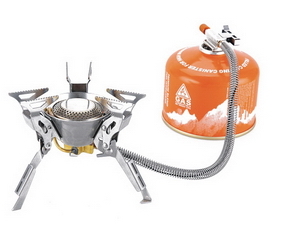 When fully folded, the stove can be packed into a small portable unit in its own PC box.